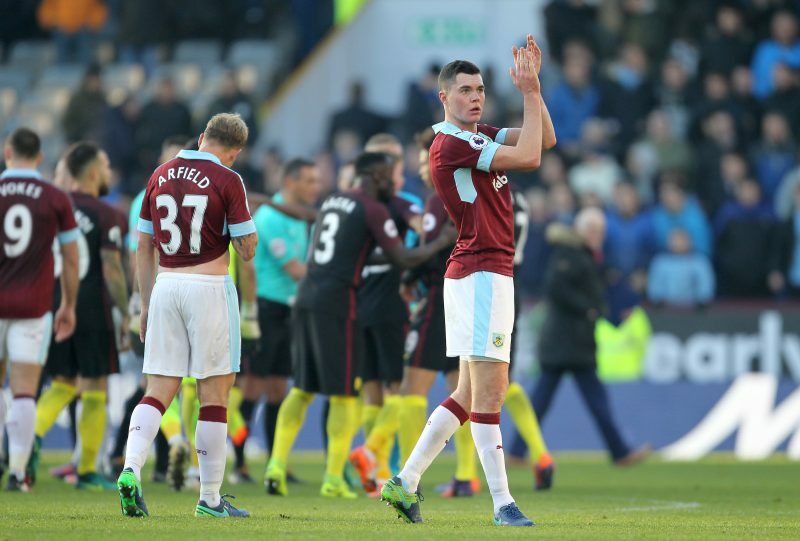 Tottenham Hotspur are ready to compete with Manchester United for Burnley defender Michael Keane. I understand that Spurs are ready to let Kevin Wimmer depart this summer, and Mauricio Pochettino wants to upgrade his defence with someone who could compete with the likes of Jan Vertonghen and Toby Alderweireld. Austrian Wimmer joined Spurs in 2015 – but has been limited to just 13 starts and Pochettino is happy for him to move on. Spurs are keeping a close eye on a number of defensive prospects with English defenders Keane, Ben Gibson and Harry Maguire in their sights. And whilst Middlesbrough’s Gibson and Hull’s Maguire have impressed – it is understood that Burnley star Keane is the one they have put at the top of their shopping list when it comes to defenders. One major issue with Keane, is the fact his former club Manchester United are pushing to take him back to Old Trafford – but I have been told by sources close to the player, that he is very much still considering his options, and that has given Spurs some hope that they could still land him. “There are a lot of clubs, and no decision has been made about his future plans other than that he does not see himself at Burnley next season. He is keen for others to know that no commitment has been made to United or anyone else, and is unlikely to be until the season has finished,” the source told me. Likewise Everton were very prominent in the battle for Keane, but they in-turn may well turn their attention to Gibson instead – with both Chelsea and Leicester keeping close tabs on the Boro ace. Liverpool also like Gibson and Keane, as well as Hull’s Harry Maguire. I spoke with HITC Sports editor Dan Coombs for his reaction to the news that Keane is on Spurs’ radar and he can’t see them landing him. “Michael Keane would fit the profile of young, talented player Tottenham look to sign but there are several reasons why a deal is unlikely,” he said. We also spoke to SkyBet’s Dale Tempest about the market surrounding Keane, which currently has Man United as Evens favourites to land him. “Lots of players do well at small clubs but it was Michael Keane’s performances on his England debut that really made people take note and consider him as a big move potential and Manchester United have quickly moved to the top of the betting,” he told TheGamblingTimes.com. Odds accurate; 24/04/2017 12:00 am.